The Library Company of Philadelphia founded in 1731, was the largest public library in America until the 1850s, and is now an independent research library with one of the premier collections in the country of early American documents. It houses extensive collections of books, graphics, and manuscripts that chronicle the history of American culture. In conjunction with its Program in Early American Economy and Society, the Library Company is augmenting, cataloging, and conserving its collections related to economy and society-including the areas of commerce, business, banking, technology, and other fields-and has also compiled a regional survey of related scholarly resources. In addition, the Program sponsors seminars, establishes public outreach programs, holds conferences involving scholars of the early American economy, and publishes conference proceedings and monographs. Join the PEAES Mailing List: CLICK HERE! 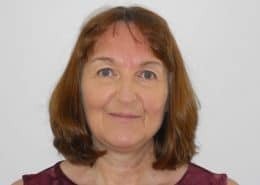 Cathy Matson is the Director of the Program in Early American Economy and Society and Professor of History at the University of Delaware focusing on the early modern Atlantic World and Revolutionary Atlantic. She is currently completing her third monograph, “A Gambler’s Ocean,” on Philadelphia’s economic culture and global material networks down to 1815. She is also working on a monograph about the economy of color during the eighteenth century. She is the co- author of A Union of Interests (1990; Ppb. 1997); Merchants and Empire (1998; Ppb. 2002; repr. 2007); editor and contributing author of The Economy of Early America: Achievements and New Directions (2005, ppb. 2007); guest editor of nine special issues of journals, author of over forty peer reviewed articles on economic culture and political economy, series editor of Studies in Early American Economy and Society with JHU Press, and co-author of The American Experiment (2001; 2nd ed., 2005; 3rd ed. 2008).